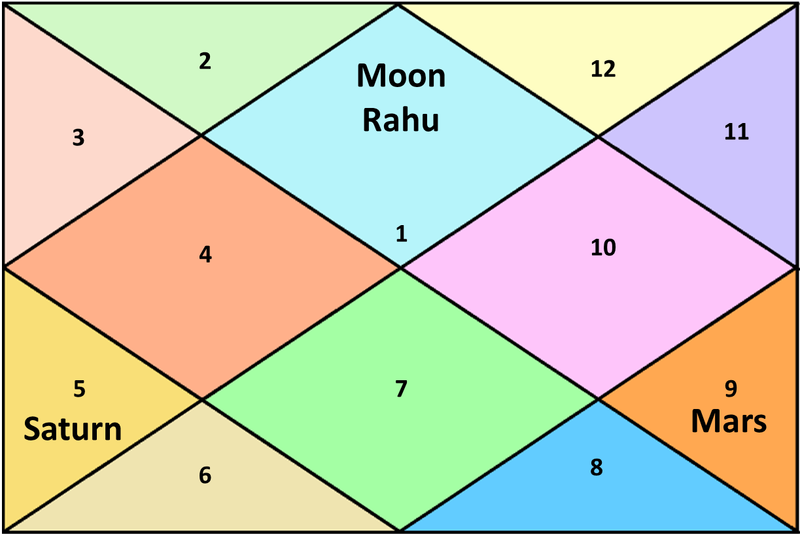 When this yoga is formed: When Moon joins Saturn and Rahu in a house especially Lagna. Results of this Yoga: The person suffers from spirit attacks. 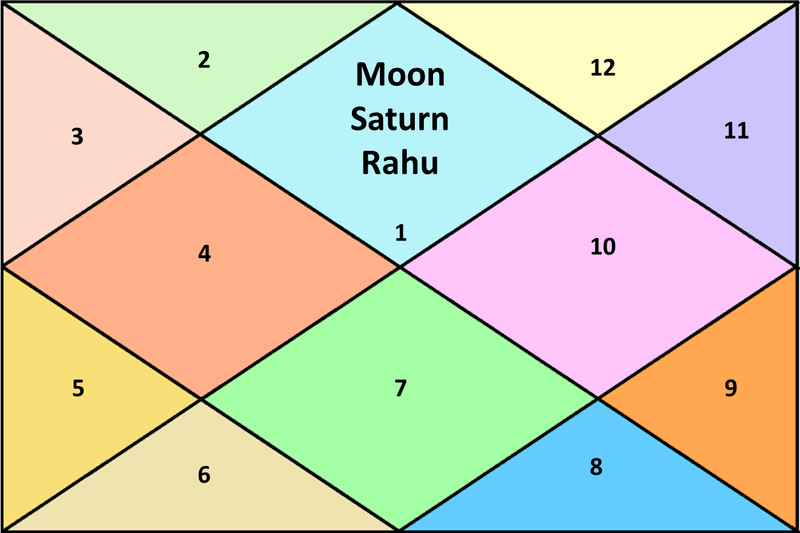 Moon and Rahu makes the brain the person unstable and when Saturn joins or aspects this combination it makes the brain even more unstable and native may behave unusually. 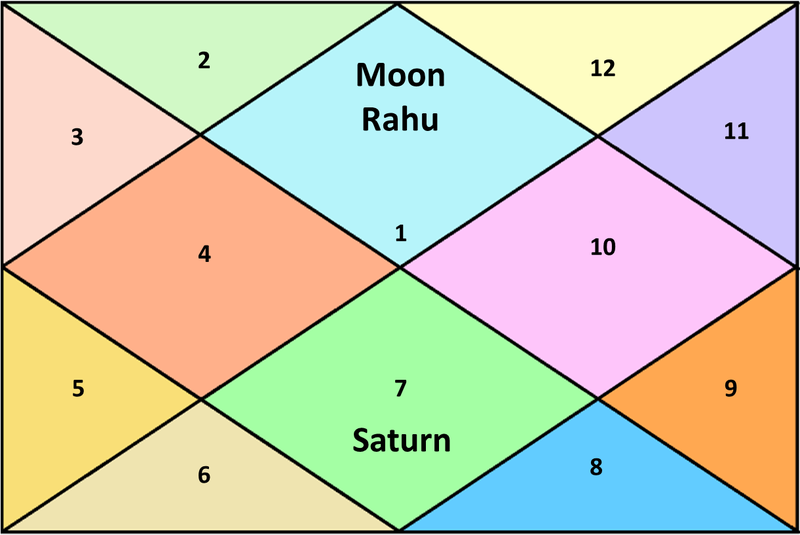 Astrology calls it the wrath of a Pishacha. Pishachas are the spirits of the people who die an untimely death with some unfulfilled desire in their mind and do not get their next body so they keep searching for a medium through which they can achieve their unfulfilled desires. I am giving few combinations below which indicate Pishacha Grasta Yoga. There are many other combinations as well but it is not possible to give them all here. How to get rid of this yoga?